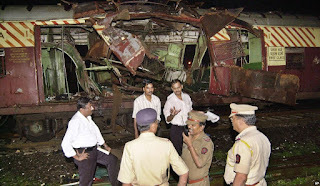 An Indian court has convicted 12 people in connection with the serial blasts that ripped through seven trains within minutes, nine years ago in Mumbai. The rush-hour explosions in the packed first class compartments of evening commuter trains killed at least 188 people and wounded more than 800 others in July 2006. Nearly 200 witnesses testified for the prosecution in the eight-year-long trial that concluded in August of last year. Prosecutors said the attack was carried out by the Pakistani-based militant group Lashkar-e-Taiba, using pressure cooker bombs. 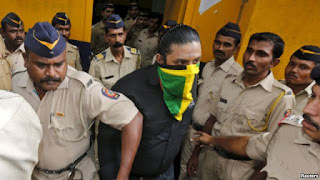 The Maharashtra Control of Organized Crime special court, presided over by special judge, Yatin Shinde, issued its verdicts Friday. One person was acquitted. Sentencing for the men is expected Monday. India's anti-terrorism squad (ATS) made the arrests in the case. However, at least 13 people have yet to be arrested in connection with the bombings. Prosecutors says the attack was in retaliation for riots in the western state of Gujarat in 2002, which left 2,000 dead. The explosions caused India to freeze peace talks with Pakistan for several months. Talks resumed later, but were once again interrupted when another militant attack in Mumbai in 2008 killed 166 people. Pakistan and neighboring India have long been bitter enemies, having fought three wars since their independence from Britain in 1947. A second river in typhoon-hit northern Japan has burst its banks, stranding dozens more residents and putting more pressure on rescue officials dealing with the region's worst flooding in decades. 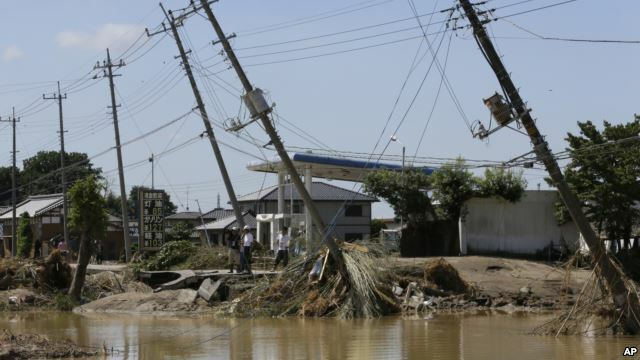 The Shibui River overwhelmed rice fields and houses early Friday in the largely rural town of Osaki, about 350 kilometers north of Tokyo. Officials say at least 40 people are stranded. Rescuers also rushed Friday to save hundreds of stranded residents in Joso City, also north of Tokyo, where the Kinugawa River broke though barriers a day earlier, sending people climbing to balconies and rooftops seeking help. Military helicopters and boats rescued dozens of residents overnight Thursday from rooftops in Joso. Officials say at least 25 people are missing there. Japan has seen extensive rains this week from what was Typhoon Etau, with rainfall totals in some areas exceeding 60 centimeters. So far, officials say three people have died in the flooding, including a 63-year-old woman killed after being swept away by a landslide in Kanuma, north of Joso. In all, more than 100,000 people in northeast Japan have been ordered to leave because of the storm. Japan's Metrological Agency has posted widespread warnings, urging people to be ready for more flooding and landslides. Singaporeans voted Friday in a general election that could further chip away at the five decade-long dominance of the country's long-ruling People's Action Party. The PAP is seen as nearly certain to retain a wide majority in parliament, but faces a strong challenge from opposition parties, which for the first time are contesting all 89 seats. The party was co-founded by Singapore's independence leader Lee Kuan Yew, who died earlier this year. 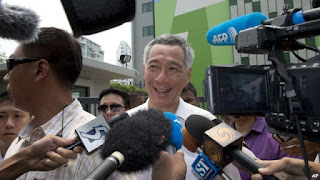 It is now led by his son, Prime Minister Lee Hsien Loong. Although the PAP currently has 80 seats in parliament, it secured just 60 percent of the popular vote in the last elections in 2011 - its worst ever performance. The government faces public frustration over a high immigration rate that has held down wages and pushed up housing prices, even as the nation enjoyed spectacular economic growth. However, the ruling party remains popular for policies that have transformed the city-state from a poor, colonial port into a rich, regional hub for business. The government continues to dominate the country's major media outlets and there is only limited room for dissent. The rise of social media and independent media outlets, however, has allowed for a wider degree of free speech. Singapore has about two and a half million eligible voters. The polls close at 8:00 p.m. local time. First results are expected hours later.